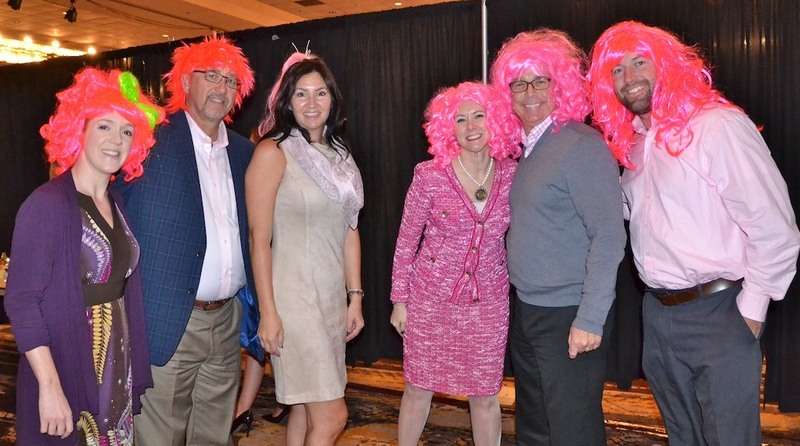 In an effort to reduce the number of breast cancer deaths in the United States by 50% by 2026, 750 men and women came together on Friday (Oct. 27) at the 20th annual Susan G. Komen Pink Ribbon Luncheon in Springdale to raise money and awareness of the disease. According to the Komen organization’s website, 252,710 new cases of invasive breast cancer will be diagnosed in the United States in 2017 and 40, 610 people will die of breast cancer. In order to cut that number by half, the Komen organization will focus on finding more effective treatments for metastatic disease (stage IV); developing better therapies for aggressive forms of breast cancer that become resistant to treatment over time; and using “next-generation technology” to detect breast cancer earlier when it can be treated more easily. The organization is on the way to meeting that goal with a report that breast cancer mortality decreased by 38 percent in the United States between 1989 and 2014. Lauren Marquette, executive director for Susan G. Komen – Ozark Affiliate, said she hopes the luncheon would raise a little over $100,000 to go towards that goal. “75 percent of the money stays in our local service area and goes to local organizations that are specific to breast health and covers things like mammograms, diagnostic testing, treatment assistance, genetic testing, gas cards, emergency assistance and things like that,” Marquette said. The other 25% will go to national breast cancer research of the most aggressive and stage 4 types of cancer. A portion of the money raised at the luncheon came from the annual “Big Wig” campaign. Marquette said a “BigWig” is local celebrity or community leader who raises funds for and awareness of breast cancer by wearing an outrageous pink wig as they go about their daily life. 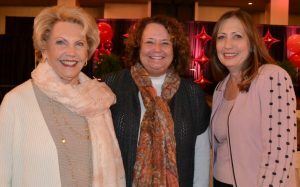 The program started in August and ended with the top fundraisers being crowned at the Pink Ribbon Luncheon. (from left) Johnelle Hunt, DeLinda Mace and Catherine May at the Pink Ribbon Luncheon. Hunt hosted the first Pink Ribbon Luncheon at her home 20 years ago and continues to be a sponsor of the event. 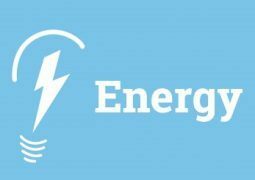 The “BigWigs” participating this year included Marcheita Anderson, Kerry Bailey, Jim Cartwright, Kathleen Dalton, Marybeth Hays, Christopher Lamson, Jennifer Miller, Tracy Mitchell, Nick Nabholz, Lauren Stokes, Shauna Taylor, Dr. Julian Terry, and Zach Wright. The group raised more than $88,000, which surpassed their goal of $30,000. Hays was the top fundraiser with $26,755. At the luncheon, Kathey Rhoads, with Highlands Oncology, announced the addition of Courtney Cook to their staff. Cook is the first oncology-dedicated genetic counselor and genetic services coordinator in NWA and has specialized training in medical genetics and counseling for inherited cancers. Rep. Greg Leding, D-Fayetteville, was recognized for his work earlier this year on the passage of the Arkansas Oral Parity Bill (House Bill 1592) which requires insurance providers to pay for orally administered anti-cancer treatments. With the passage of the bill, Arkansas joined 42 other states in requiring parity in health benefit coverage for orally administered and IV administered anti-cancer medications. Also during the luncheon, 12 breast cancer survivors modeled clothes from Town and Country Shop. The models were Nicole Bagley, Sonja Barton, Manda Hamilton, Desi Keel, Jennifer Lee, Deb Menning, Cindy Paladino, Mary Purvis, Sandra Sims, Jennifer Steiner, Kim West and Valerie Wright. 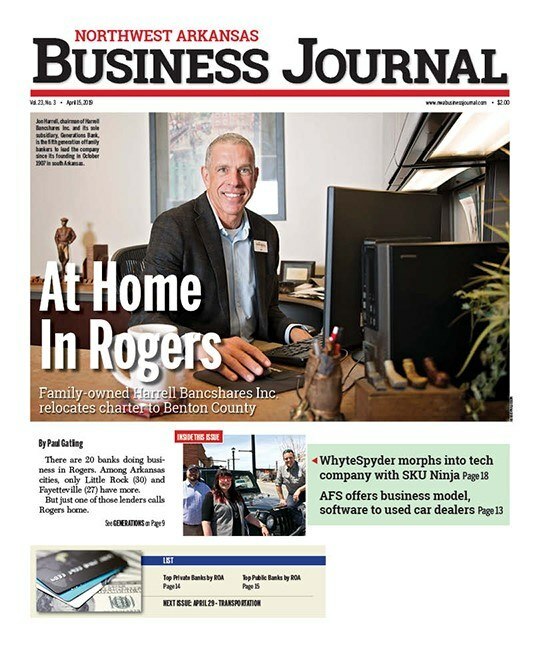 Local community and business leaders participated in the “BigWigs” campaign which raised more than $88,000. The Gaye Cypert Power of Promise Award went to Highland Oncology Group. The Breast Center of Northwest Arkansas was awarded Outstanding Corporate Partner and Washington Regional Cancer Support Home was recognized as Grantee of the Year. At total of $731,630 was awarded to Komen Ozark grant recipients for the 2017-2018 calendar year. Recipients included Community Clinic, Cox Foundation, Donald W. Reynolds Cancer Support House, Hope Cancer Resources, Madison County Health Coalition, Mercy Breast Bentonville, Mercy Fort Smith, North Arkansas Partnership for Health Education and the Washington Regional Cancer Support Home. The presenting sponsor of the Pink Ribbon Luncheon was the Breast Center, A MANA Clinic.